There was a time back when I was self-publishing comics and doing freelance art that I was hitting several comic shows a year- sometimes a couple or so a month. It was a crazy busy time, but mostly it was a lot of fun and I met a lot of great pros and fans. 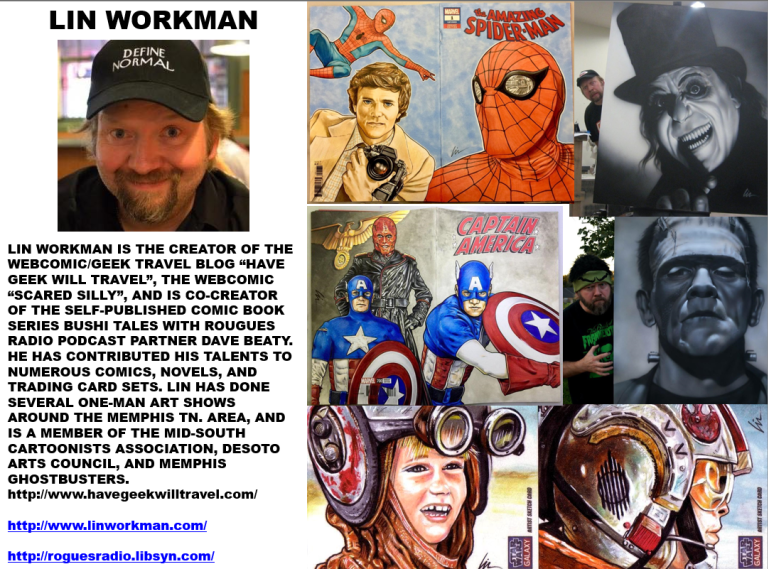 The past few years I’ve only set up at one or two conventions a year, and as of March (the Dyersburg Comic And Pop Culture Con) I won’t be setting up at any future cons. The con scene has changed quite a bit, and since I don’t have any projects to promote it’s kind of become a waste of time and/or money for me to set up at shows- especially since I don’t do commissions or quick sketches. I’ve enjoyed just attending events more and have been selling better just having my sketchcovers and sketchcards on consignment at The Cellar comic shop here. Also I’m starting to develop arthritis in my drawing hand (mostly my left trigger finger from years of airbrushing). Thanks to diabetes and getting older my eyesight isn’t what it used to be so I don’t draw or paint as much as I used to. I’ve never been accused of being super fast, but what I used to could turn out in an our or two started turning into a weekend project, and then a full week one. If the weather will cooperate I’m hoping to at least do more sculpting, costume making, prop building, and maybe some more painting out in the garage. Have been trying to get it squared away as a workspace when I need to get messy and/or need more space to work on projects. My wife Nicki and I do still attend some cons, plays, movies, exhibits, hockey games, and other travel when we are able to get away for a long weekend or so. We love driving to New Orleans, Nashville, Huntsville, Metropolis, or other spots our car can get us- or flying to places like Orlando or L.A. when we can. Last spring Nicki had a week-long work trip in Beverly Hills, and I was able to fly out and spend the night there, and then the weekend in Hollywood and Burbank, where we visited Rodeo Drive, the Hollywood Walk Of Fame, Hollywood Museum, Griffith Observatory, Magic Castle, Warner Bros. Studios, and more! That was a fun trip and a lot of sightseeing packed into about 4 days..! Between those trips, the costuming I do, other events around the area or geeky locations here I still have stuff to blog about and draw toons of. Actually, more happens than I get to blog about in a timely manner, so sometimes I do “Throwback Thursdays“, “Flashback Fridays“, or “Wayback Weekends” which are fun. I noticed today there are several trips I’ve neglected to post on so I’ve got lots of catching up to do! Expect more trips in the Wayback Machine to come. 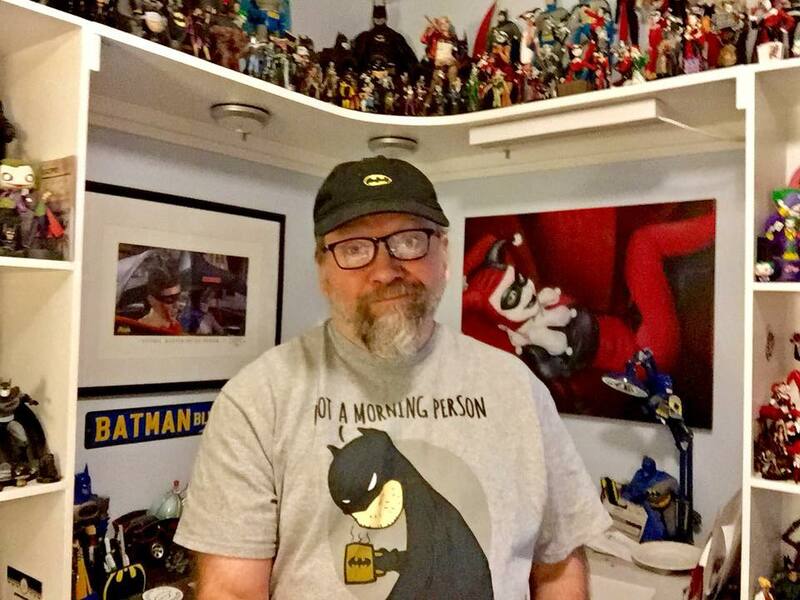 I also blog and toon about current geek topics, concerts, news, and other issues. I try to do toons that go with the blogs, but sometimes they each stand on their own. Really depends on what pops into my head at the time. I write my blogs using Word Press (which Nicki set up and showed me how to update- thanks, Babe!). I sketch out and draw/ink the line art for the toons by hand, scan them into my computer, convert to vector art, and create my finished cartoons with CorelDRAW X4. I then export them as JPEGs. You can find an archive of my HGWT blogs and toons (as well as some past LinWorkman.com blogs) here. I may do a step by step tutorial in a future blog post here or on my HGWT site.